My great-grandmother was described to me as “a handsome, fierce woman who ran the family farm” and who struck fear in the eyes of many. Combine her strength with that of my maternal grandmother who encouraged my late mother to be the very best, and you get a glimpse of my history and genetics. Toss in my upbringing on the farm with my father telling me to get an education, stand up for what’s right, stand up for myself, to use the brains I was given, and the varnish of me can be explained (just a little). At the same time, I was told to act like a lady, stand up straight, and don’t take any crap. In 1989, I was in Washington, DC at a national youth conference during a women’s march. It was a culture shock to a rural farm girl. I knew hard work, and I butted-heads with those who opposed my often independently bold ideas. Twenty-nine years later, I watched streaming world-wide women’s marches online. 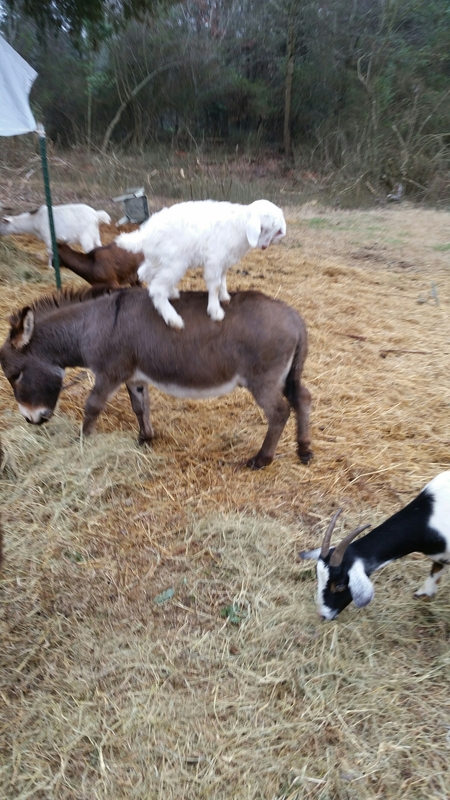 I raised my pitchfork and tossed 40-pound bales of hay to my herd of goats and donkeys. I was not there among the crowds, but I encouraged many to go. For those who know me personally, you know that I encourage you to be bold. I encourage you to help. I encourage you to be the best you can be. I stand for equality among women AND men. The culture shocks and experiences that changed my views on the world are mine. I defend my family, my faith and my friends. We do not agree on everything. Yet our ability to stand up for human rights and how we help one another is at the very core of what makes us human. I volunteer with the United Methodist Women and serve as a district president. I served as a short term missionary to the Philippines in 2012, Cambodia in 2015, and visited South Korea both times. Connecting with women of villages in two of these countries, where advanced medical technologies of maternal health may never be available, reminded me of the first-world issues that we take for granted. Standing in the killing fields of Cambodia, where only 40 years ago a tyrant leader killed millions of his own people (educated, intelligent souls), shines a light on the blessings we have and the atrocities we never saw. They drained the swamps, and they found skeletal remains of people whose lives were cut short. When swamps are drained, the monsters remain; the water no longer hides the mystery. In 1984, my mother went to Saudi Arabia on a medical team to teach CPR and first aid to the men and boys. During her two months there, she taught while covered in the traditional burkas and had male translators. As an American nursing instructor, she had been told that she would not have to cover her head. However, during a trip through the market, police tapped her on the head with clubs. The translator explained that the police were forcing them to cover their heads, or they faced arrest and beatings. When a male student asked the translator why he should listen to a woman, my mother explained, “so that if your son chokes on a grape, you can save his life.” She first shined the light on the fact that not all countries allow women to have the same freedoms that we have. She first taught me that we were created as help-mates, but that being created in God’s image means that the Sovereign created us to be whole persons. And it is a well-known fact that our hearts all look the same on an operating table. I can only be the very best I can be. I can only encourage you to offer a kind word. I can only ask that you be you and I‘ll be me…and together, we build relationships of understanding, appreciation and compassion. 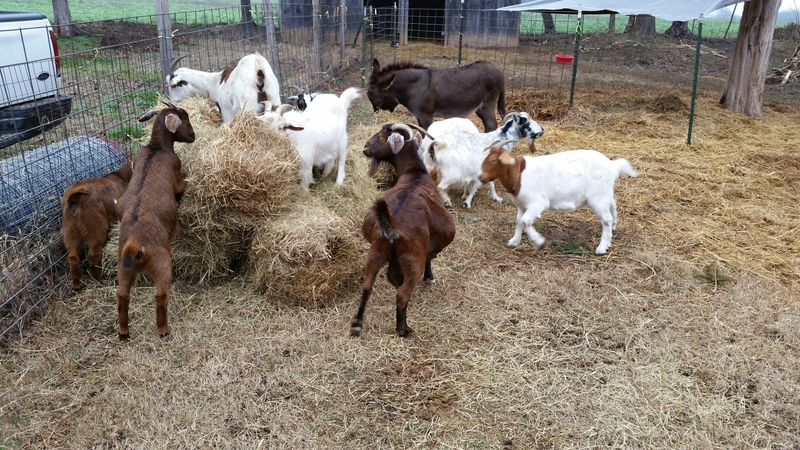 Oh, and here’s a random goat picture of the herd impatiently nibbling while I tried to store the new bales.